News - E3 Training Solutions presents YouCoach! from Jorge Martinez on Vimeo. Want To Get Started? Complete your Fitness Assessment Today! This service is a simple yet complete model with general-semi personalized training plans, multimedia content, online advice and social interaction through a private forum. 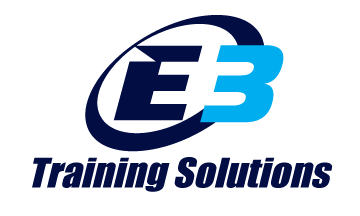 This provides an effective alternative way to training with expert advice from E3 coaches for a lower cost. 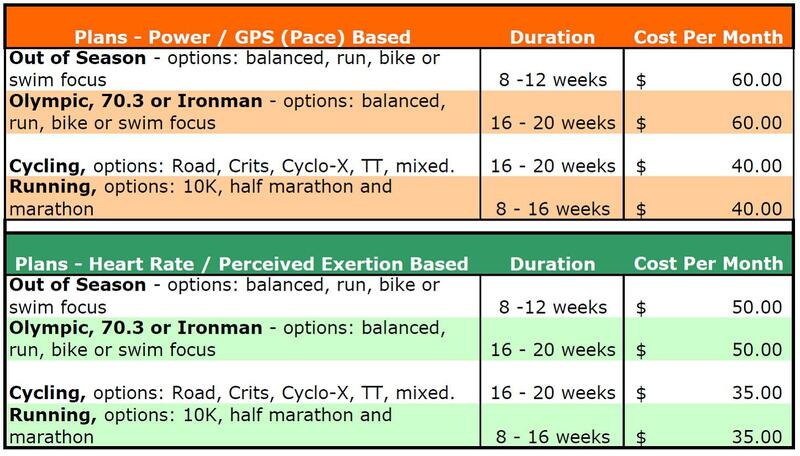 We offer “Off-season” or race specific training plans for different distances (Olympic, 70.3 and Ironman), durations and 3 different levels based on your current fitness level, experience, needs and racing goals. 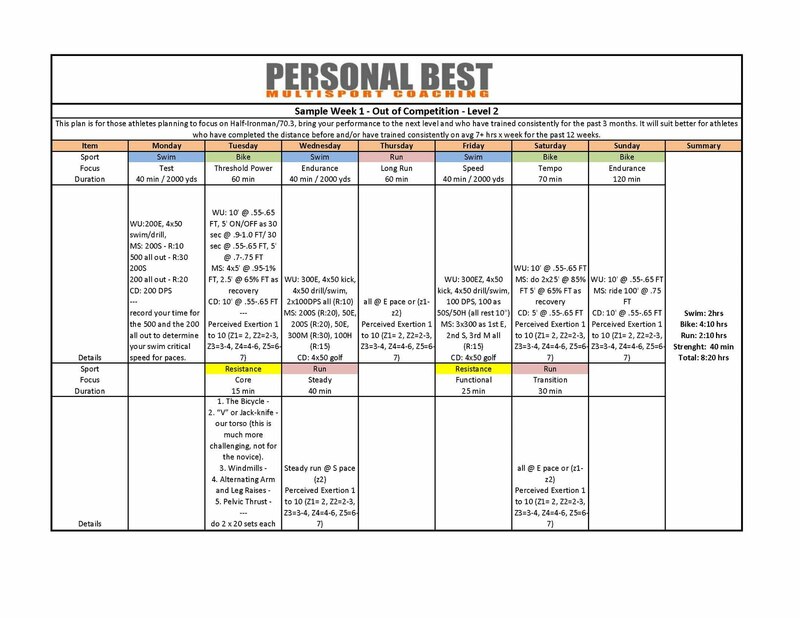 The semi-personalized plans are accompanied with “how to” guides, annual training plans, multi-media and other materials that covers most training questions/needs for our athletes. In addition you can ask as many questions as you might have to our expert coaching group via a private online web forum (hosted at beginnertriathlete.com) or via our private Facebook Group and you'll get response within the same day. 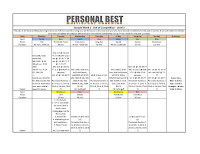 Unlike other general plans, ours are delivered on three to five 4-week blocks; this allows us to make fitness progress assessment at the end of each block and recommend what 4-week block plan will suit the athlete's needs based on strengths, weaknesses, time constraints and adaptability. This scheduling flexibility maximize fitness gains. This service is more of ‘Do It Yourself’ model for athletes. 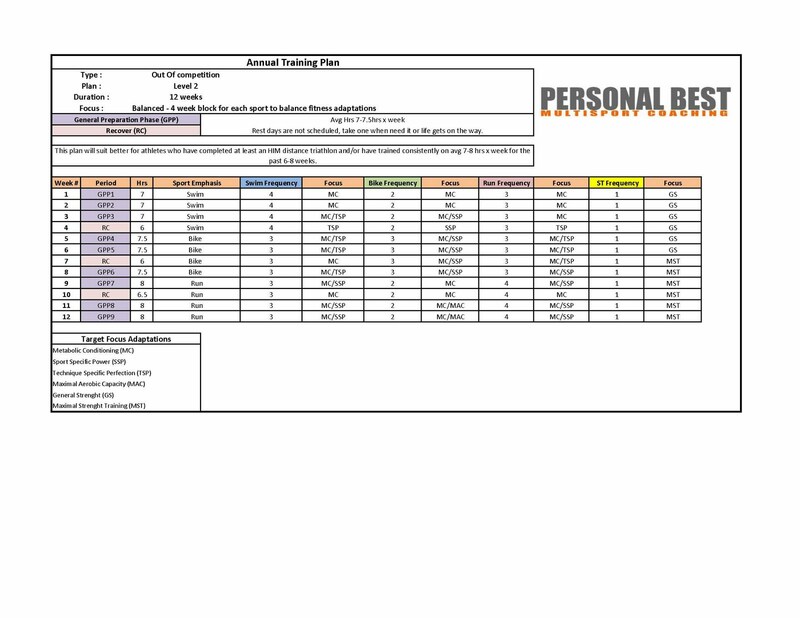 In simple words; we provide you with season plan with detailed workouts, we provide you the tools (plan, guides, calculators, testing, videos, etc. ), we provide you expert support and YOU do the Coaching matching the plan to fit your specific needs. This allows athletes to have a direct control over their training schedule. This service will suit better those athletes who enjoy taking control of their program, require minimal coaching support and with a flexible schedules or for those wanting to be more involved with their plan and learn at the same time. 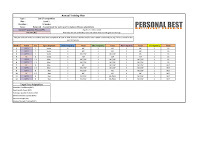 The athlete fills up a fitness assessment and submit to us, we analyze it and based on that info provided recommend what plan level will fit the athlete needs. We submit the first 4 week block plan, “how to” guides and schedule a startup conference call to discuss the details of the plan, terminology, goals, etc. We also give the athlete access to the private forum where he/she will have access to different multi-media and personal thread in which he/she can ask any questions in order to further adjust the plan to match his/her need; those will be answered by our coaches within 24-48 hrs. During the last week of the 1st block, the athlete will complete the fitness progress assessment with detailed feedback so we can recommend the next 4 week block that will fit his/her needs and goals. We do this at the end of every block. Access to the various how to guides, multi-media and PBM coaching articles provided via forum, blog, website and Facebook page. 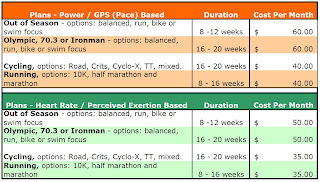 If you have a beginnertriathlete.com training log you can upload our plans into your log. Please notices that our online support service is neither personalized coaching nor do we design provide individualized training plans, for that we offer one-one one coaching. The plans are pre-designed and are developed to fit most athletes’ needs. The addition of online support via the private forum will enable the athlete to ask any questions to our coaches for ideas and tips as to how to adjust the plan. This model doesn’t include the integrative performance services we provide for our one-on-one athlete. Our coaches won’t monitor or provide specific feedback through a training log. Though we won’t make changes to your training plan, we will give you feedback so you can adjust it. We won’t do personalized power, GPS or HR monitor file analysis or performance modeling. Cycling (Road, Crits, Cyclo-Cross, etc) heart rate based - $35.00 per month/Power based - $40.00 per month (Plus Paypal charges).